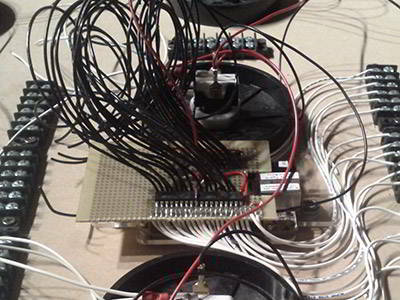 Do you love your BeagleBone based prototype and want to find the quickest and easiest way to turn it into a tidy circuit layout? Then BeagleCore™ is right for you! And best of all: it is 100% Open Source. No more space than neccessary. 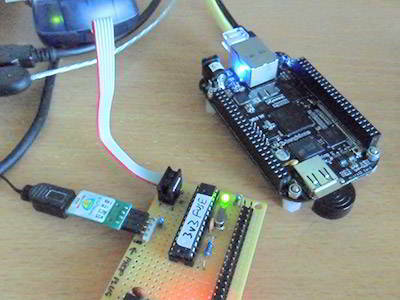 BeagleCore™ is built upon the Open Hardware Schematics of BeagleBone Black which has been created and published by the BeagleBoard.org Foundation. Just like the BeagleBone Black the BeagleCore™ is published under Creative Commons (CC-BY-SA 3.0). A growing list of frequently asked questions and answers about BeagleCore™. Visit our full FAQ on GitHub. Does the BeagleCore™ BCM1 support feature XYZ better than BeagleBone Black / BeagleBone Green? We have created the BeagleCore™ to be as compatible as possible with the BeagleBone Black. One of the key benefits of the BeagleCore™ BCM1 however is, that you can build your own PCB and thus implement features and workarounds not supported by the original BeagleBone Black. The only thing we can therefore refer to is the pinout of the BeagleCore™ BCM1 which shows in detail the features and possibilities of implementing the BeagleCore™ module and the feature-set supported. Where can I buy BeagleCore™? What about shipment to USA? Shipment of BeagleCore™ BCM1 and BCS1 to the United States of Ameria (USA) can be made solely through Rapid Electronics as part of the Conrad Group. What temperature range do BCM1 and BCS1 support? BCM1: The operating temperature range for the module with standard components is 0…60°C (commercial) but optionally you can get an extended temperature range -40…85°C (industrial). BCS1: The starter-kit supports an operating temperature range of 0…60°C (commercial). How long will BCM1 be available? We guarantee a long-term availability (production lifecycle) of BeagleCore BCM1 until December 31, 2023 at minimum. What do you mean by „industry standard“? For genuine embedded industrial applications the existing BeagleBoard hardware is not suitable due to several reasons. 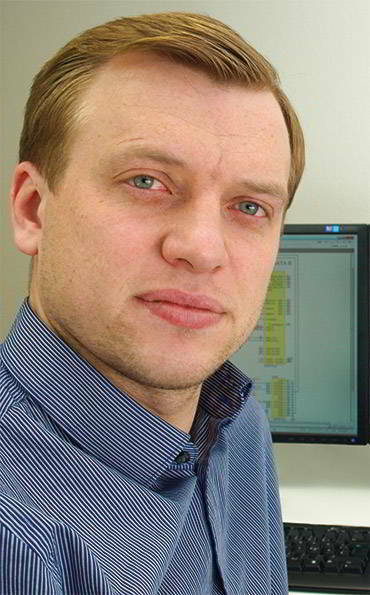 Currently professional embedded computer-on-module applications use 100% defined and well engineered standards from PICMG (such as COM Express) or SGET (such as Qseven and SMARC). 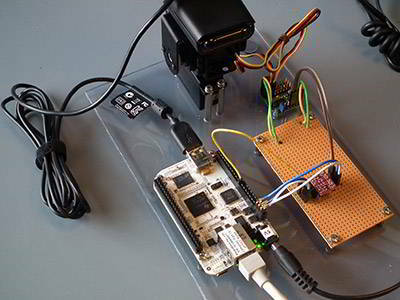 All of this makes the BeagleCore™ an industrial SOM – a system on module approach for the popular BeagleBone Black. Are BeagleCore™ BCM1 and BCS1 open source hardware? Yes. We strongly believe in the power of open source and we heavily rely on open source solutions when it comes to software. So we decided to pay back to the community. BeagleCore™ is licenced under Creative Commons (CC-BY-SA). We have therefore published a ZIP-file containing all relevant information on footprint, schematics, BOM and many more for BeagleCore™ BCM1 & BCS1. Meinerzhagen, March 31, 2017 / BeagleCore™ was awarded 2nd place in the election for »Product of the Year 2017« by leading German magazine "Elektronik". 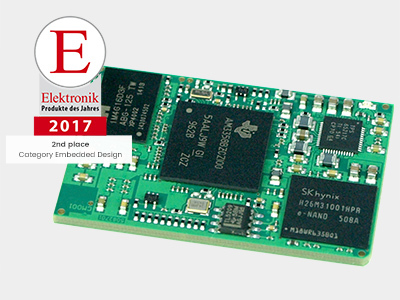 In the "Embedded Design" category, the readers of Elektronik magazine awarded second place to BeagleCore module BCM1 – an unexpected award only two years after the Kickstarter campaign. Martin Steger received the certificate as a representative of the entire team during an award ceremony. 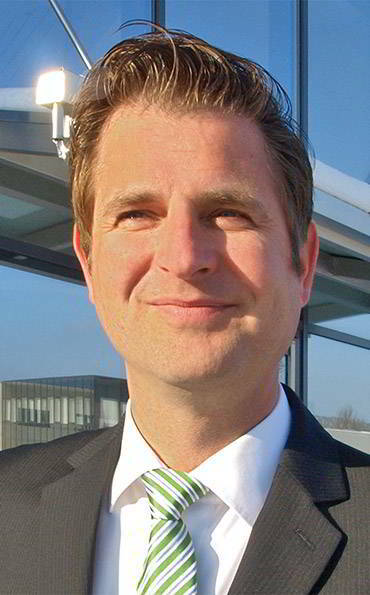 "The success of BeagleCore could certainly not be foreseen," Steger said after receiving the award, "and together with our partners TURCK duotec and Conrad Electronic, we are very happy about this result." For the 19th time, leading german industry magazine Elektronik awarded the smartest and most innovative products in electronics. A total of 111 products were nominated "Product of the Year 2017" across 11 categories: Active Components, Passive Components, Electromechanics, Optoelectronics, Sensors, Power Supply, Automation, Development Software, Embedded Design, Measurement and Automotive. Meinerzhagen, August 30, 2016 / One of our key goals with BeagleCore™ was to create a high quality module from design to manufacturing. To achieve this we have been partnering with innovative companies, always striving for maximum quality along with reasonable pricing. One of our most important partners in creating the BeagleCore™ BCM1 and BCS1 is TURCK duotec, a highly skilled Electronics Engineering and Manufacturing (E²MS) provider. We worked hand in hand from the original product idea right through to serial production. TURCK duotec GmbH, a member of TURCK Group, delivers high-end applications and solutions for automotive, industrial and building automation as well as for medical devices. Their continuous feedback and their inclination towards perfection have had a major impact on the development of the BeagleCore™ module. Together with TURCK duotec we are constantly moving forward. Our joint efforts in making the BeagleCore™ one of the leading industrial open-source modules for IoT have resulted in a fruitful partnership and in the long-run ensure innovation and quality 'Made in Germany'. BeagleCore™ has been created, designed and manufactured in Germany. 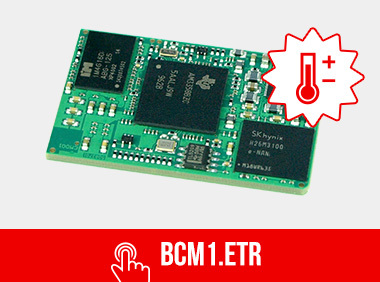 Meinerzhagen, June 22, 2016 / We are happy to announce that we have shipped the first batch of BeagleCore™ BCM1 and BCS1 to Conrad. Since there was a large number of pre-orders the first batch is already sold out. However within the next weeks we will replenish our stock and start delivering modules and starter-kits to all of you waiting. 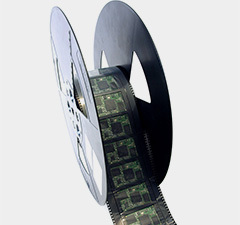 Here is a picture of a whole reel full BeagleCore™ BCM1, ready for delivery. You can place your order at the Conrad online-shop or get in touch with us if you require a bulk-quote. Meinerzhagen, February 29, 2016 / Looking back at the embedded world 2016, BeagleCore™ was one of the main attractions according to renowned opinion leaders in embedded technologies. With products showing at the Conrad Electronic booth in hall 5 and at the iesy booth in hall 1 the BeagleCore™ gathered attention in a new target-audience called "professional makers". Further to this quite a number of journalists showed great interest in the BeagleCore™ module and starter-kit. 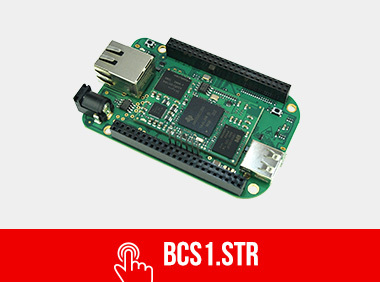 You can now pre-order the BeagleCore™ BCM1 and BCS1 at the Conrad online-shop. In addition you will find several articles and videos showing the BeagleCore™ at the Conrad website and blog. Meinerzhagen, January 26, 2016 / BeagleCore™ today announced a world-wide distribution partnership with Conrad Electronics for the sale of its brand-new BeagleCore™ BCM1 module. From April 2016 on the BeagleCore™ module as well as the starter-kit will be exclusively sold through Conrad Electronics. The official presentation of the BeagleCore™ however will be in February at the embedded world in Nuremberg. BeagleCore™ BCM1 is a miniaturized computer module for industrial or commercial applications covering all core features of BeagleBone Black. It's just smaller and more focussed, but it still offers the same functionality for all the core features. 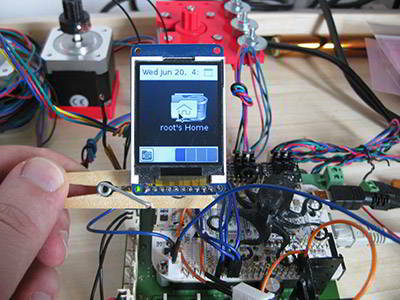 You can build your own PCB using BeagleCore™ BCM1 as a soldering module. Simply develop everything using BeagleBone Black as a development-board and afterwards realize your product by using BeagleCore™. This makes BeagleCore™ ideal for Internet of Things (IoT) solutions: it's small, it's simple, it's powerful and it follows proven industry standards. Optionally it is planned to launch a BeagleCore™ module for an extended temperature range on request. With only 48 mm × 31 mm × 3.5 mm in size the BeagleCore™ module is designed to be a soldering module based on Land Grid Array. This makes the connection very reliable and cost effective. Customers who want to get started can either rely on the BeagleBone Black as a development-board or use the BeagleCore™ starter-kit consisting of the BeagleCore™ module and a base-board resembling features and look of the BeagleBone Black. 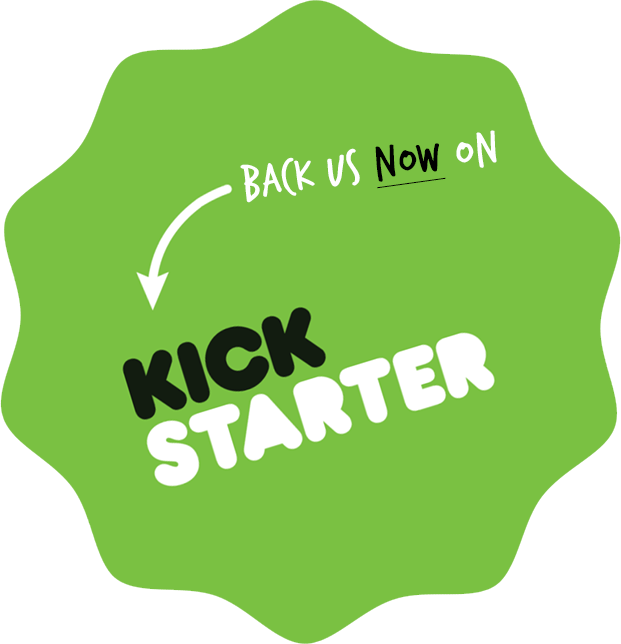 Prices will start at 48 EUR for the module and 122.90 EUR for the starter-kit. 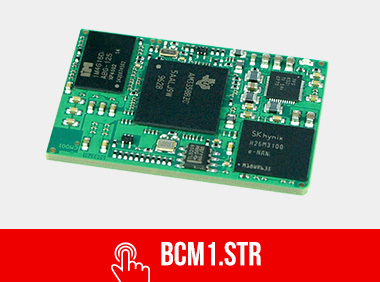 Please note: Shipment of BeagleCore™ BCM1 and BCS1 to the United States of Ameria (USA) can be made solely through Rapid Electronics as part of the Conrad Group. We are a team of professionals with software & hardware background. For several years we have been working together to help clients in developing and engineering high quality products for the industry. 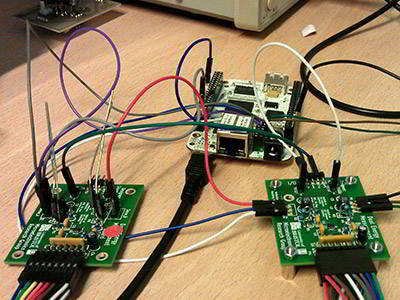 Ever since we put our hands on the first BeagleBone we were amazed by its simplicity and potential. However we could not use it for client projects because it lacked industry standards. 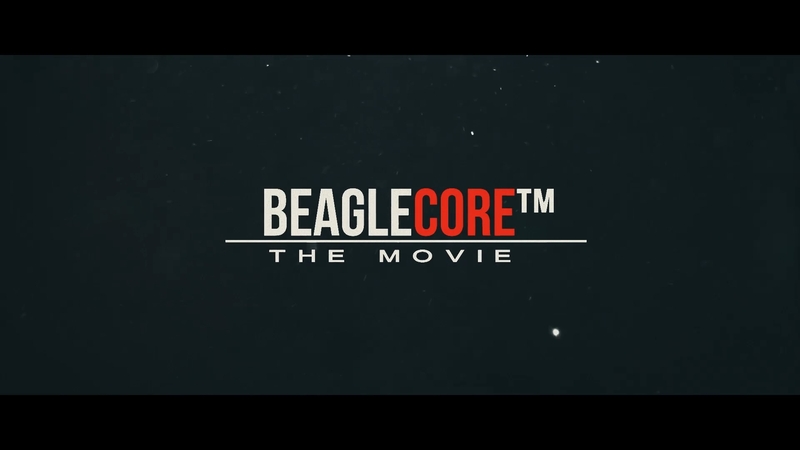 So we decided to develop something new: BeagleCore™. 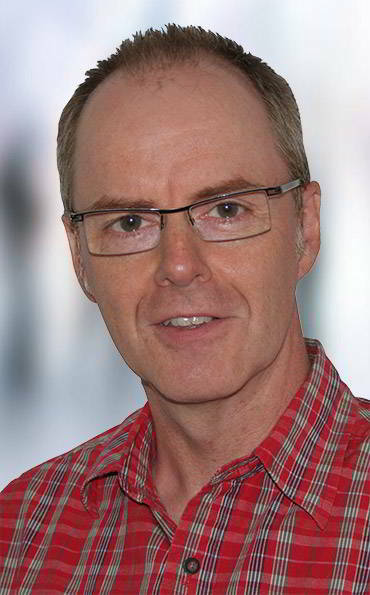 Hi, I'm Martin. I love Embedded Computing. Hey there, I'm Christian. Ever since I've been addicted to Open Source Software. If you want to know more about BeagleCore™ simply fill in the following form.